Like all schools in Scotland we use Curriculum for Excellence as a framework for all our work in the school. Curriculum for Excellence is about bringing life to learning and learning to life. It has been introduced to raise standards of learning and teaching and to help improve our children’s life chances. It is designed to help children become successful learners, confident individuals, responsible citizens and effective contributors. 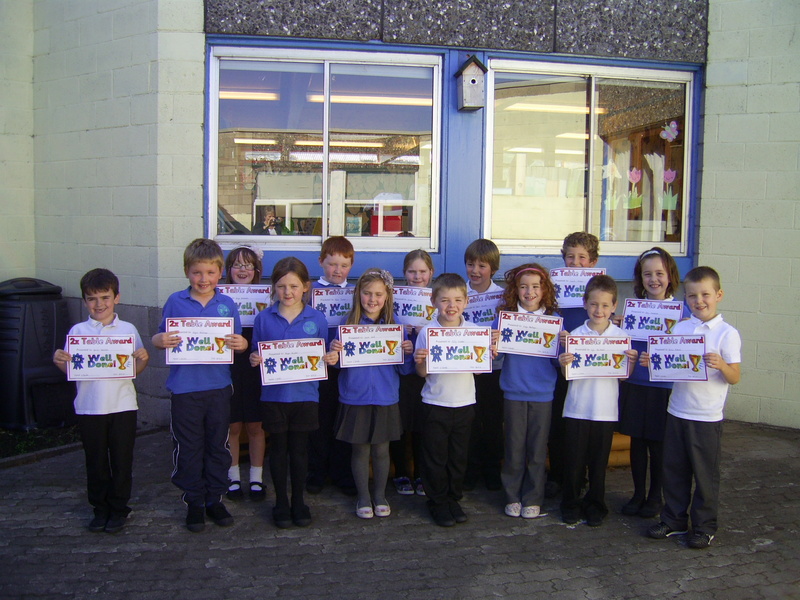 On European Languages’ Day our P7 pupils were teaching French to all the other classes in the school. It focuses on the importance of improving knowledge and developing skills. It offers a broad and deep general education to the end of third year in secondary education with options in the senior phase. It promotes the ability to learn – a skill for life that will help young people go on to further study, to secure work and to navigate through life. 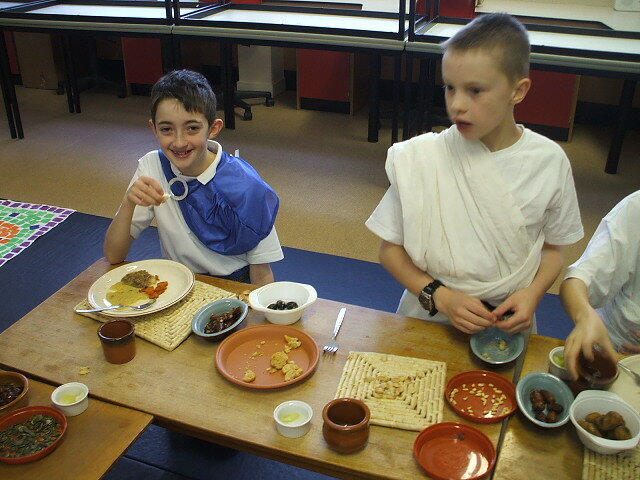 P4-7 took part in a Roman feast which they helped tp prepare along with Mrs Beaton from TRA. Those working with children and young people will be responsible for delivering skills in literacy and numeracy – skills that unlock other subjects and are vital in everyday life. Staff will be responsible for young people’s health and wellbeing and for identifying the personal support a child needs on a day-to-day basis. to harness knowledge yet to be discovered. These children in P3 have mastered the ‘2 times table’. What will be taught?/Dè bhios air a theagaisg? 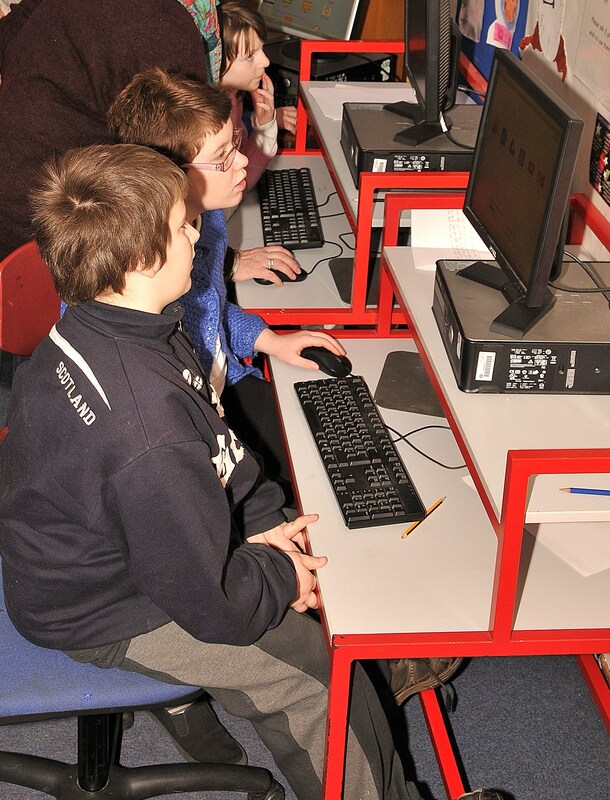 There are 8 curricular areas: Expressive Arts ( art, drama and music); Health and Wellbeing (includes PE); Languages and Literacy (reading, writing, a modern language from P6, listening and talking); Mathematics and Numeracy; Religious and Moral Education; Sciences; Social Studies (history, geography and modern studies); Technologies (craft and design, cookery and ICT). Each area has a list of ‘experiences and outcomes’ which the children need to cover. You will find these by accessing the link at the foot of the page. 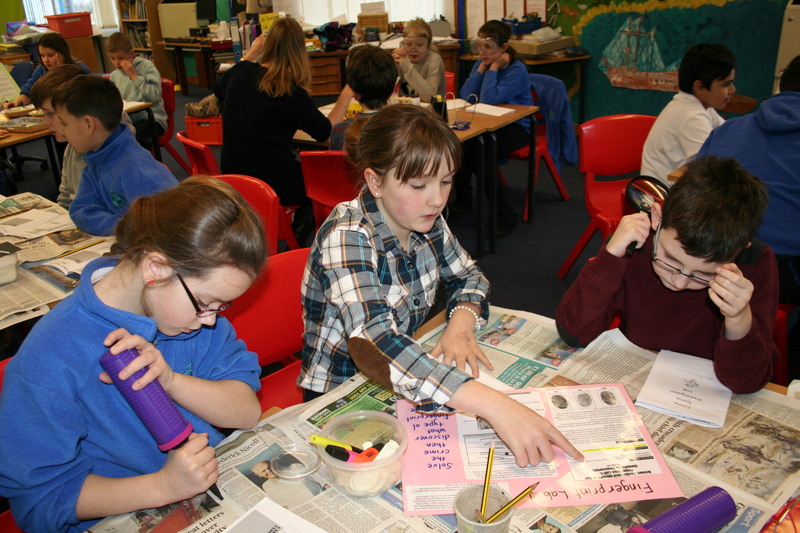 The pupils in P6 are developing their science skills. Curriculum for Excellence provides an entitlement to a broad, general education which covers early, first, second, third and fourth levels. Following this, there is an entitlement to a senior phase of education. 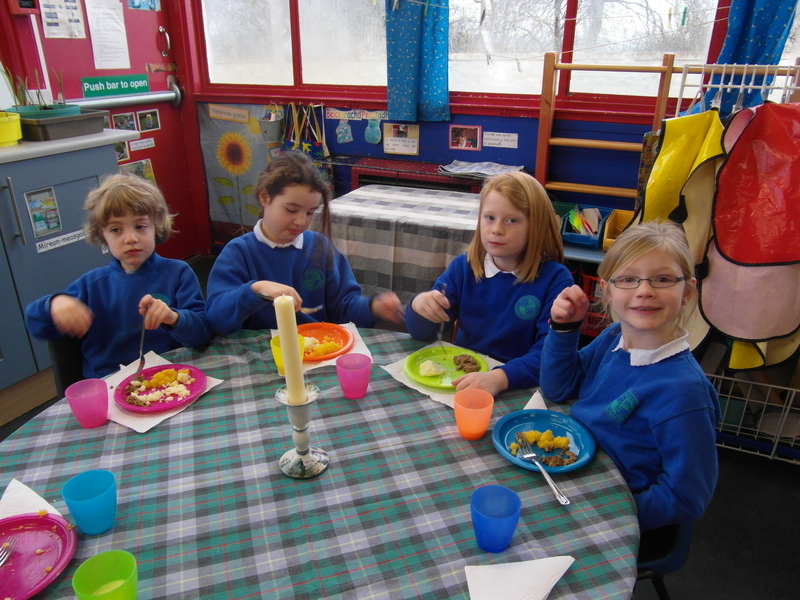 P1-3 were invited to the Gaelic Nursery to take part in ‘A Burns’ Supper’. How will the children learn?/Ciamar a bhios a’ chlann ag ionnsachadh? In Curriculum for Excellence there is a much greater emphasis on how the children will learn. They will be much more active in their learning which means that teachers will be encouraging children to ask questions; seek answers for themselves; work together and discuss ideas; challenge and come up with their own solutions. They will be expected to take greater responsibility for their own learning. Much of this we are already doing in Craighill so the children should not notice much difference in their class. There is an expectation that subjects will not be taught in isolation but through a topic e.g. when studying the history of the Vikings the children would be expected to use ICT and reference books to research information and write about what they have found. They would develop map skills about the Viking homelands and their journeys. They might design and build a longship. As part of art they would observe Viking art and create their own designs. Using the computer to find information. They might act out a play about the Vikings written by themselves. They would tell others about what they have found out about their topic. Again we are quite used to this type of work in Craighill. We feel very confident that we are well placed to develop this exciting curriculum in Craighill.